With Drake’s goofy new video for “Hotline Bling” currently being blanketed with praise—Drake dances like... me, LOL, cry the masses, incorrectly—it is slipping by the wayside in our cultural parlance that the track is a blatant lift of the indie Virginia rapper D.R.A.M.’s breakout single from 2014, “Cha Cha.” Aiding this confusion, of course, is the fact that Drake, king of cosigns, has chosen in this instance to completely avoid crediting or even acknowledging D.R.A.M. at all. And so, when “Hotline Bling” came out a year later, during Drake’s Great Summer of Beef, outlets posted the track as a “Cha Cha” remix. Further confusion might be stemming from the fact that both songs sample Timmy Thomas’s minimalist ’70s lounge jam “Why Can’t We Live Together,” heavily but in different degrees. “Cha Cha” recreates the arrangement with a video-game filter; “Hotline Bling” uses Thomas’s instrumentation, the light little drum-machine clicks, almost exactly. ...something he has done repeatedly throughout his career, latching onto a set of charming but off-kilter ideas, running them through his proprietary filter, and shining them down into jewels. By applying his populist instincts to genuinely weird music, Drake has learned new moves, and in exchange for giving up-and-comers the invaluable boost that accompanies his co-sign, he has had the opportunity to introduce one new sound after another into the mainstream. It’s an innovation model, basically: as an artist who is single-mindedly focused on improving and not repeating himself, Drake is serious about staying ahead of the curve, and he approaches it systematically. 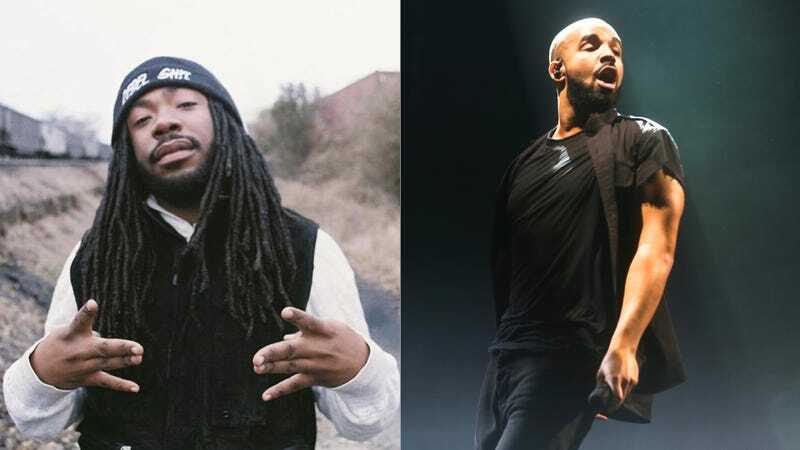 In this case—because Drake has somehow managed to not mention or credit D.R.A.M. whatsoever—it’s a theft model, which does seem “approached systematically,” and works for a lot of people, and is, I guess, as innovative as anything else. The lesson through all of this is: gaslighting works. Ask Taylor, ask Drake. Edited to add: I did not make it clear that—yes, D.R.A.M. more correctly should be said to sample the Super Mario star song, the creation of Koji Kondo, the Nintendo composer and general icon, who has a voracious mental library and a thing for jazz; his video game songs contain references aplenty. I assumed (potentially incorrectly) that the “Star World” jam was a colorful, direct, almost shot-for-shot recreation in itself of the Timmy Thomas track, which was a #1 hit in the summer of 1973. The tracks, either way—all four of then, and the chronology is the important part—sound the same.